Manufacturer & Supplier of Herbal Packaging Tubes. 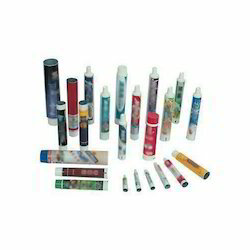 Our product range also comprises of Color Plastic Packaging Tubes, Mehendi Packaging Tubes and Lip Guard Packaging Tubes. We are backed by a team of determined and skilled professionals, who assist us in offering an exclusive range of Small Chemical Containers. These containers are widely acclaimed for their durable finish, reliability, optimum strength and spaciousness. Each and every product we offer in industry is well checked by the quality inspectors. Our customers can buy from us a wide range of Dropper Bottle With Royal Caps that are offered in standard and customized options. These dropper bottles are manufactured using superior quality raw materials, such as high density poly ethylene & poly ethylene terephthalate and poly propylene. The bottles are used in Pharmaceutical Industry for packing ear drops or eye drops. We are offering a wide range of Plastic Containers that are used in residential houses and commercial areas like shops, malls and departmental stores. These are made of high quality plastic to provide complete hygiene to the stored products. Our range is available in various sizes and designs as per clients’ requirements. 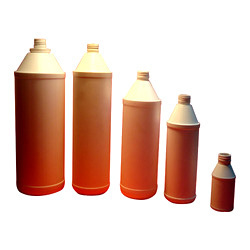 With an objective to fulfill the ever-evolving demands of our clients, we are engaged in offering a wide assortment of 20 ml Liquid Plastic Glue Tube Container.